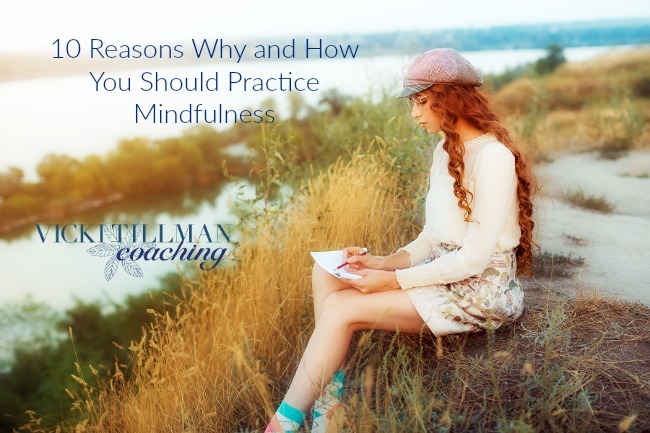 Here are 10 reasons why and how you should practice mindfulness. Woman writer concept. Student thinking and writing notes. Joyful happy girl sitting writing and reading outdoors on the nature. Mindfulness simply put, is the practice of calming yourself. If you haven’t made a mindfulness activity part of your day, now’s the time to start. Here are 10 reasons why and how you should practice mindfulness. *It’s hip. Really, so get hip and practice mindfulness. *It’s good for your body. When you practice mindfulness your body slows down. A good mindfulness session will lower your blood pressure and may boost your immune system. *It’s good for your mood. Mindfulness increases the activity in the part of your brain the creates positive mood. It also calms you down and increase your ability to regulate your emotions (ability to keep yourself from loosing your temper). *It’s good for your memory and ability to learn. 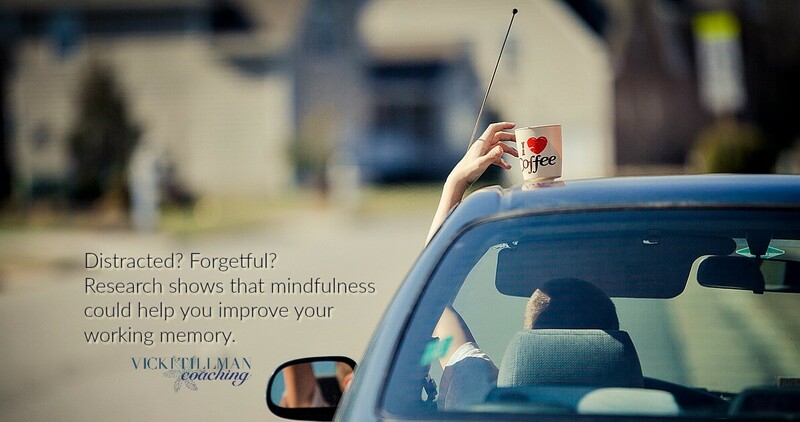 Mindfulness over time increases the gray matter in your brain, especially in the hippocampus region. The hippocampus is in charge of memory and learning. *It’s good for people who have PTSD. The Veterans Administration even has a mindfulness app for PTSD. *Deep breathing. 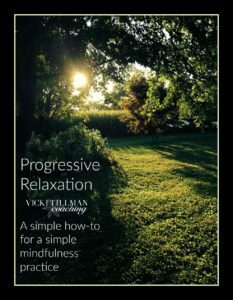 The best way I know to practice deep breathing is Progressive Relaxation. 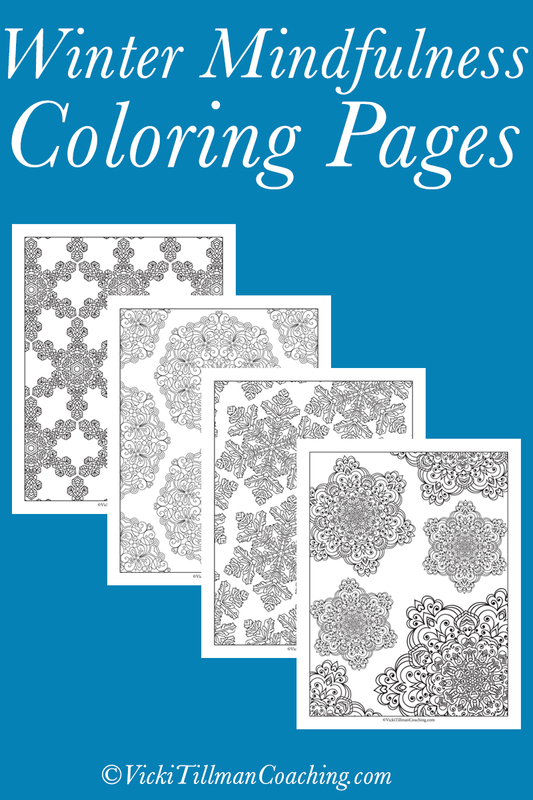 Download the freebie how-to. *Ignatian examen. 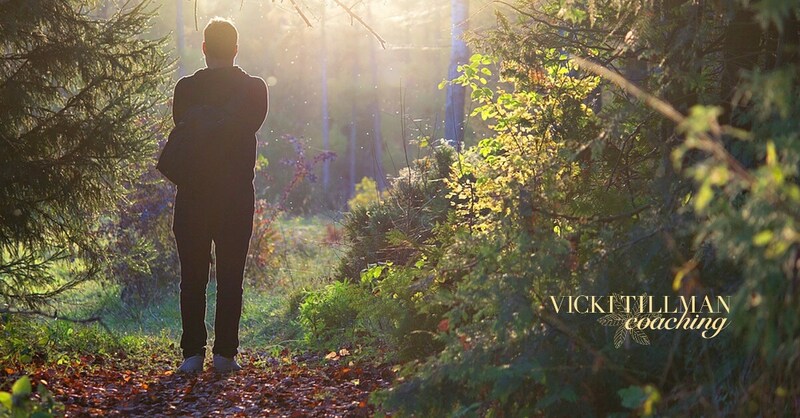 This is a mindful examination of God’s work around you and in you. 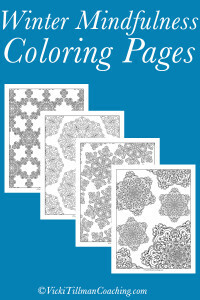 Download the freebie how-to. *Mindful walking. Take a nice walk. Choose a place with trees. Pay attention to the sights, sounds and smells around you. *Knitting. Knitting is actually a mindful activity. *Coloring. Calmly coloring, noticing what you are doing without judging your work, is a great mindful activity. 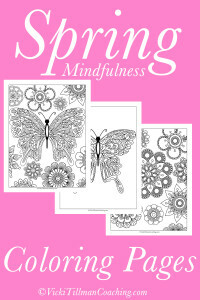 Download freebie Spring, Autumn, Summer, Winter mindfulness coloring pages. That’s 10 why’s and how’s. Here’s a bonus how-to: *Keep a gratitude journal. Think calmly and hand-write things you are grateful for. It is a deeply calming activity. There are many other mindful activities. Try some out. Give yourself 8 weeks of daily mindfulness and compare how you feel before and after. I’ll bet you are calmer, happier, and mentally sharper. Greater Good Review of Studies on Mindfulness. Greater Good: A Little Meditation Goes a Long Way.